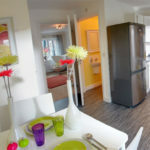 Home buyers looking for their own space this summer should visit Lincoln Gardens in Doncaster to find out more about owning a home for just £79 a week. Team sports are a great metaphor for the corporate life. What counts in volleyball is commitment, cooperation, clarity, precision and Power: These values are also highly regarded in business. 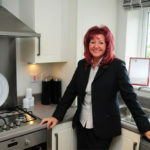 A development of new homes in Doncaster has hit the spot with buyers, after a customer satisfaction survey revealed that 100% of purchasers would recommend it. Exactly two years ago, Link to Poland was launched. Buyers looking for an affordable route into home ownership should visit Lincoln Gardens in Doncaster to find out more about owning a home from £94 per week. 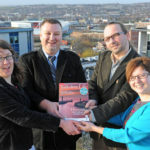 Doncaster Chamber held an event yesterday inviting local businesses to find out more about ‘Doing Business In Poland’. Congress co-organiser (with the British Polish Chamber of Commerce) and founder of Polish Business Link, Bartlomiej Kowalczyk says, „For the first time, Polish entrepreneurs from across Britain will meet in London for a national congress to learn from one another, to inspire one another, to network together, sharing stories of business success. A reward has been offered to help find the body of a missing Polish man. 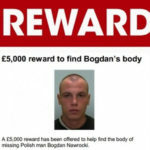 The force is offering £5,000 for information which leads to the recovery of the body of Bogdan Nawrocki. Projektor returns to Halifax Festival bringing you the latest short movie productions from Poland.